OBI Brand Monitor is a social media monitoring tool for managing reputation and tracking crises through visual analytics and real-time alerts. The cloud-based tool aids businesses in monitoring and analyzing their online brand reputation, as well as providing insight into sectors and shareholders. Users can gather insight into the impact of their online or offline communications, campaigns, and PR, with reports on reach, sentiment analysis, and media value. The crisis monitoring module within OBI Brand Monitor allows businesses to monitor the media, including social media, online media, TV, and print, in order to detect an upcoming crisis and act upon it as quickly as possible. Reports provide brands with sentiment analysis to give insight into current media buzz and the amount of positive, negative, and neutral coverage in the media. Reports also provide data on the entire market sentiment so that businesses know where they stand in comparison to the rest of the sector, and understand if a drop in sentiment is individual or sector-wide. Alerts can be setup to warn businesses when negative coverage is getting out of hand, so that plans can be made to tackle the conflict. Users can also monitor media throughout a conflict to better understand the sentiment, volume, and participants involved in the conflict. OBI Brand Monitor also offers tools for reputation management to help users keep track of how internal and external stakeholders are discussing their business in the media. Users are provided with real-time insights into mentions within the media, and all publications containing references to the business can be shared internally. In order to help businesses better understand their reputation at any given time, OBI Brand Monitor provides real-time insights into sentiment, development of reach and volume, visibility, and more. There are currently no reviews of OBI Brand Monitor. Contact OBI4wan for pricing information. Measure reputation with real-time insight into trends, sentiment, influencers, and stakeholders, and view these metrics in a visual way with custom reports and graphs. Gain insight into the entire sector, including competitors, with sentiment analysis not only for the individual business but for the whole sector, so that users can understand their performance in relation to their industry. Prepare for any type of crisis with risk alerts for things such as a reduction in sentiment, negative articles, and more. Users can opt to receive personal alerts via SMS or email. Generate customized reports on reputation, buzz sources, sentiment, PR, influencer posts, and more, which can be scheduled to be delivered daily, weekly, monthly, or any other pre-defined period. Share relevant publications relating to brand reputation within the platform in order to make all team members aware of risks or upcoming crises. Below are some frequently asked questions for OBI Brand Monitor. Q. What type of pricing plans does OBI Brand Monitor offer? Q. 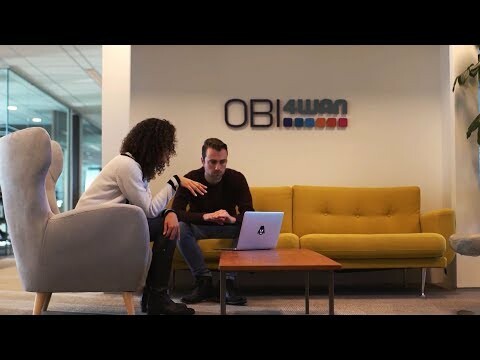 Who are the typical users of OBI Brand Monitor? Q. What languages does OBI Brand Monitor support? Q. Does OBI Brand Monitor support mobile devices? Q. Does OBI Brand Monitor offer an API? Yes, OBI Brand Monitor has an API available for use. Q. What other apps does OBI Brand Monitor integrate with? Q. What level of support does OBI Brand Monitor offer?